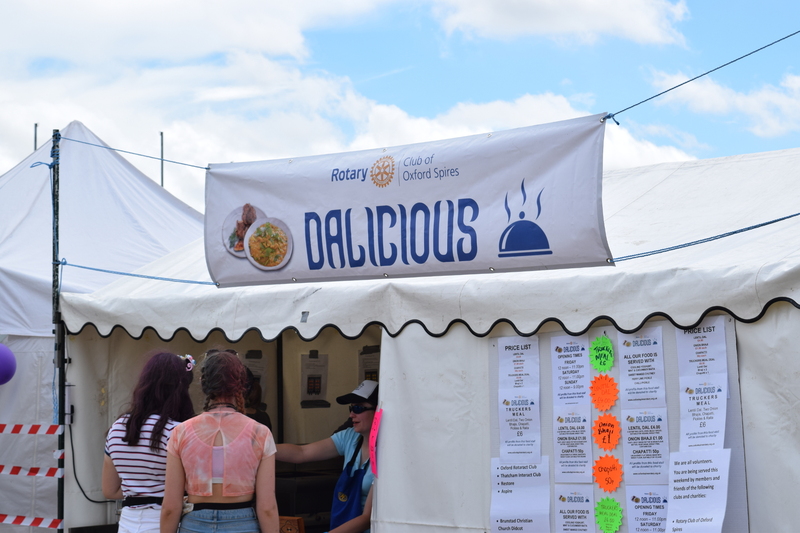 Oxford Spires Rotary Club and friends were very happy to be invited to provide our Dalicious Indian food stall for Truckfest again this year. 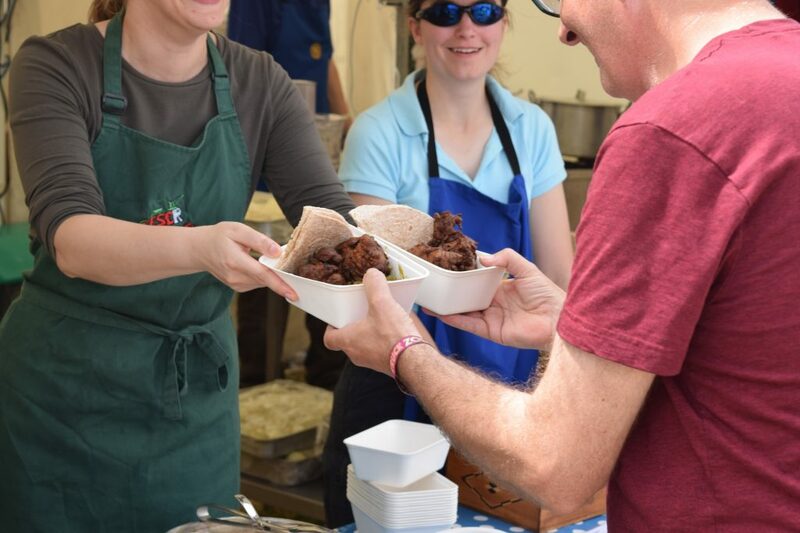 We have been providing food for the festival since Didcot Rotary asked us to help in 2007. This event remains our biggest fundraising event each year and the monies raised enable us to help charities at home and abroad throughout the 2016-17 Rotary year. Most of the food on our stand was made from scratch from recipes donated to us by KESCRG (two of our former members were also KESCRG members). We prepared lentil dal and onion bhajis and also provide chapattis and pickles to our customers, in our famous Truckers Meal. We are complemented on the food we prepare each year and so are happy to provide an alternative to the festival goers. As we served food from lunchtime onwards, we needed volunteers to man the stall from 9am in the morning until late at night. As we are a small club with 23 members, we rely on other charities to help up man the stall. These are other local Rotary clubs or charities we have worked with/have connections with in the area or ex-members/friends of our club. We would not be able to provide food to the festival without the help of these other groups. 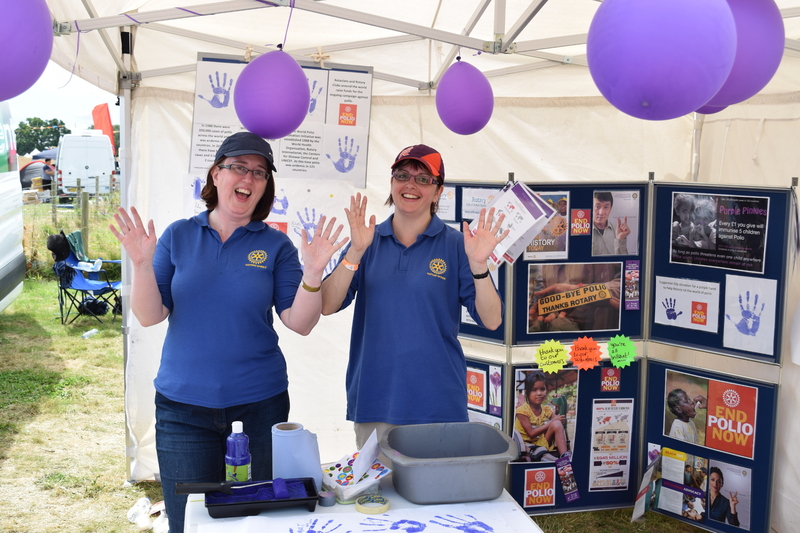 We were also happy to see food stalls from other Rotary clubs at the event, particularly Witney Rotary with their Pig Roast and Faringdon Rotary with their pizza stall. Thanks again to Didcot Rotary for inviting us to participate. If you are interested in volunteering in your local community in events such as these, then contact us using the contact form on this site. We are always happy to hear from anyone interested in learning more about Rotary in Oxford and the Thames Valley and joining a vibrant and welcoming club.